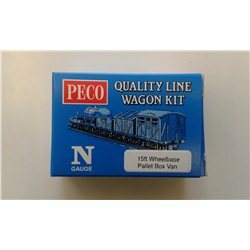 Kits - Wagons [N] There are 27 products. 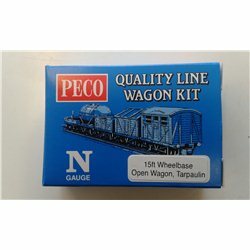 15ft wheelbase, Tarpaulin open Wagon Unpainted plastic model kit easy to assemble. One-piece body moulding, chassis, wheels and couplings. 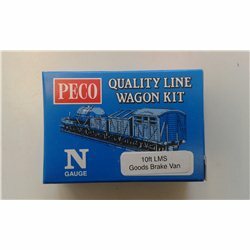 Box Van, Parcels and Fish This 15ft wheelbase wagons is very quick and easy to assemble. 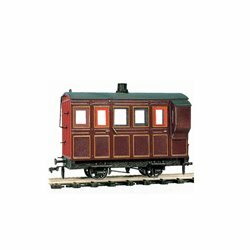 Consisting of a one-piece body moulding, one-piece underframe/chassis, wheelsets and couplings, they are essentially unpainted, unassembled versions of our famous ready-to-run range. Full instructions included. 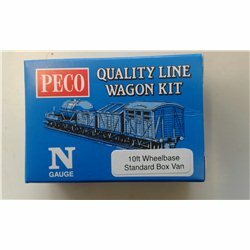 15ft wheelbase, Pallet van.Unpainted plastic model kit easy to assemble.One-piece body moulding, chassis, wheels and couplings. 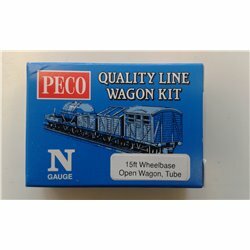 15ft wheelbase, Tube Wagon.Unpainted plastic model kit easy to assemble.One-piece body moulding, chassis, wheels and couplings. 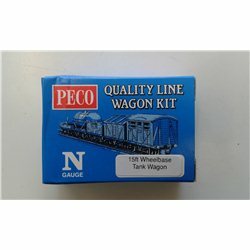 15ft wheelbase, Tanker.Unpainted plastic model kit easy to assemble.One-piece body moulding, chassis, wheels and couplings. 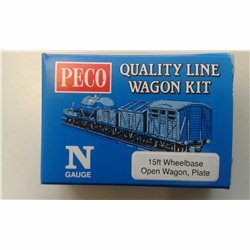 15ft wheelbase, Plate Wagon.Unpainted plastic model kit easy to assemble.One-piece body moulding, chassis, wheels and couplings. 10ft wheelbase, LNER Goods Brake. 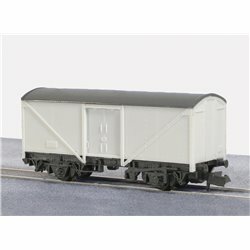 10ft wheelbase, LNER Goods Brake.Unpainted plastic model kit easy to assemble.One-piece body moulding, chassis, wheels and couplings. 10ft wheelbase, LMS Goods Brake. 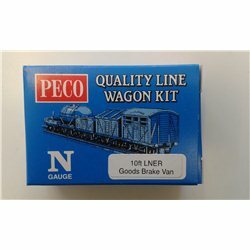 10ft wheelbase, LMS Goods Brake.Unpainted plastic model kit easy to assemble.One-piece body moulding, chassis, wheels and couplings. 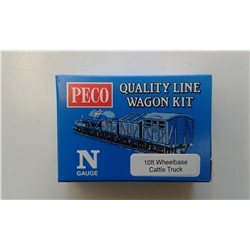 10ft wheelbase, Cattle truck.Unpainted plastic model kit easy to assemble.One-piece body moulding, chassis, wheels and couplings. 10ft wheelbase, Butterley Steel Open. 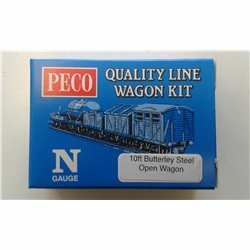 10ft wheelbase, Butterley Steel Open.Unpainted plastic model kit easy to assemble.One-piece body moulding, chassis, wheels and couplings. 10ft wheelbase, standard box van. 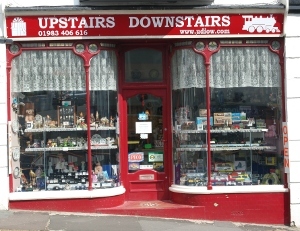 10ft wheelbase, standard box van.Unpainted plastic model kit easy to assemble.One-piece body moulding, chassis, wheels and couplings.